Travel Exploration Morocco is a Morocco Travel agency that has been in business for just four years and has climbed to the forefront of the Morocco travel business through offering unique tours to Morocco. Travel Exploration Morocco has a wide variety of boutique tours to Morocco that enable travelers to have an off the beat overseas adventure travel experience while engaging in an authentic visit to the Maghreb. During the past decade the Kingdom of Morocco has expanded its footprint throughout the world as it’s well respected and recognized King Mohammed VI chose a progressive path to modernize Morocco and help its lower class rise up through providing a better life. 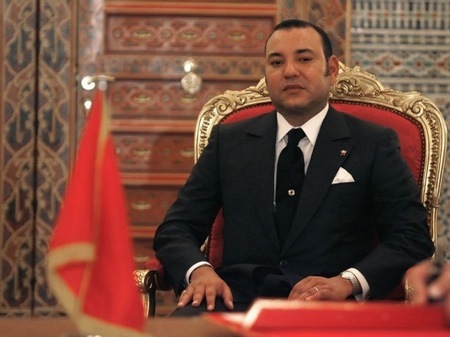 Mohammed VI has also modernized Morocco through his progressive views on communication, construction and the arts. Morocco is virtually wired and Moroccan travelers can be assured that when visiting they will be able to reach home through their international cell phone from almost every part of the country. Morocco is wired from Safi to the Sahara. Every Imperial City offers a wide range of internet options from internet cafes to free wife lounges and for only $60.00 a modem can be purchased and within minutes you can be online. Morocco’s King Mohammed VI has also led a path to housing in urban areas by encouraging a variety of projects from new apartment buildings to luxury villas. While Morocco may have an over abundance of housing in its major cities as a result of this, one thing that any new Moroccan resident is guaranteed are options of a place to live. Marrakech is also on the verge of expanding to have gigamalls and other kinds of shopping and eating plazas. 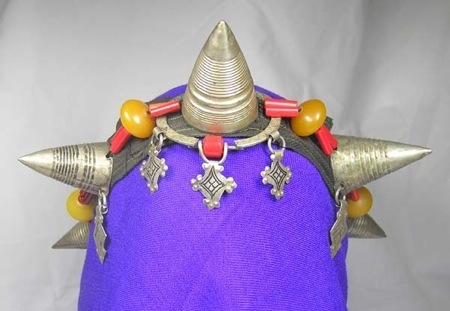 For outsiders it may appear to be a bit much or headed to the mainstream if it has not already but for residents of Morocco it is a welcome change and opportunity to find goods that were for so long hard to locate in the Maghreb. The arts are also flourishing in Morocco from public art being shown at Marrakech’s new train station to regular international exhibitions being held at the Contemporary Museum of Marrakech. While there is not one major museum in Morocco there is a plethora of fine art, crafts and Moroccan Jewelry art available in all of the medina’s, within the new city centers of Marrakech, Fes, Ouarzazate, Casablanca and Essaouira along with a mélange of imports that while are available at a high price can well be worth the purchase. The better life for the average Moroccan who lives off agriculture means being able to till their fields regardless of volatile weather and having the advantage of knowing that additional supplements of wheat and other grains or means for their fields are available through local government assistance or through national government assistance. King Mohamed VI has also achieved expanding Morocco’s footprint on the world stage through his moderate views of allowing so many foreigners to visit and settle as residents in the majestic Maghreb. Morocco is on the upswing attracting more tourism then ever before and offering more value for its money. People who consider traveling to Morocco for the first time have so many options to choose from with regards to accommodations, eating choices and vacation experiences. Marrakech, often referred to as the Paris of Morocco for its lush green parks, colorful shops, elegant monuments and clean streets offers Moroccan travelers the opportunity to stay in 4 or 5 Star Traditional Moroccan Riads with welcoming tea service and all of the amenities plus more that one could find on a vacation to Europe. Marrakech compliments this by also offer 3 Star Riads that are charming and a variety of 3 Star, 4 Star and 5 Star Upscale and reasonably priced hotel accommodations. Say the word food in the Maghreb and your lips are likely to moisten quickly. Every city in Morocco is known for having great cuisine. Wherever you travel on your Moroccan vacation, providing you chose a customized Morocco tour, a Morocco travel agency or do the research on your own, you are bound to have some of the best meals of your life in either a restaurant or with a local Moroccan family. The best times to visit Morocco are in April and May as well as September and October. Moroccans are welcoming and traveling to Morocco during any season guarantees a spectacular holiday experience. 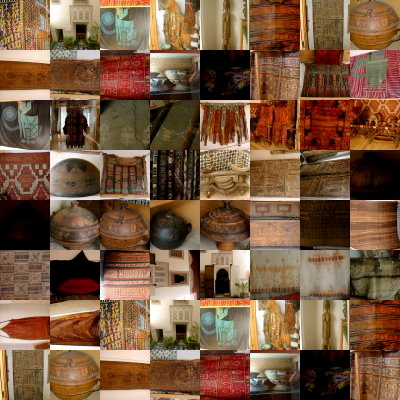 If it is your first time traveling to the Maghreb and you are an artist or teacher by trade choosing a vacation that enabled you to have a boutique Moroccan experience would be best. Travel Exploration’s Bead Your Way Through Morocco’s Trade Bead and Jewelry Treasure Hunting Tour will ensure you see the hottest places in Morocco, the most majestic landscapes while enabling you to add unique pieces to your Trade Bead and Moroccan Jewelry Collection. Traveling to Morocco to visit its Waterfalls and Kasbahs is also another way to see Morocco without engaging full time with the hustle and bustle of Morocco’s Imperial Cities. 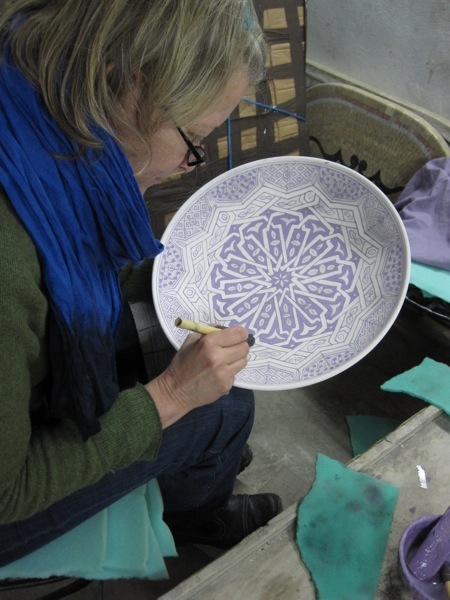 A Pottery and Zellij Tile Design Tour is yet another option that will engage the senses and allow you as an artists, Moroccan traveler and professor to learn the ancient tricks of the trade that old Fasis artists use to hand make Zellij tile and Fassis Pottery. For the Moroccan traveler who is longing for a cuisine adventure, Travel Exploration offers A Taste of Morocco and for those interested in history and architecture, the opportunity to Discover Fes on an extended tour. For the Moroccan traveler who is interested in escaping to a seaside town of tranquility then the artist colony/ seaside resort of Essaouira is an option. For those who desire a visit to the Sahara, a camel trek or Quad riding tour visiting the region of Merzouga’s Erg Chebbi Dunes or M’hamids’ Sahara Desert is the way to go. With all of the amazing travel opportunities available in the 21st Century Morocco is a hotspot that offers the perfect holiday vacation filled with adventure, art, history and entertainment. You are currently browsing the archives for the imperial city category.